Tangled and True: a favorite. These are Ryan's very most favorite cookies. They are fun to make, as there is a surprise in the middle, the kids love them, everywhere we've taken them, they receive rave reviews and I've had multiple requests for the recipe, so what better place to put it than on the world wide web? You should make them.. really. They'll make your day! Combine butter, sugars and peanut butter. Add egg and vanilla. Mix, then add flour, baking soda and salt. Makes a soft dough. 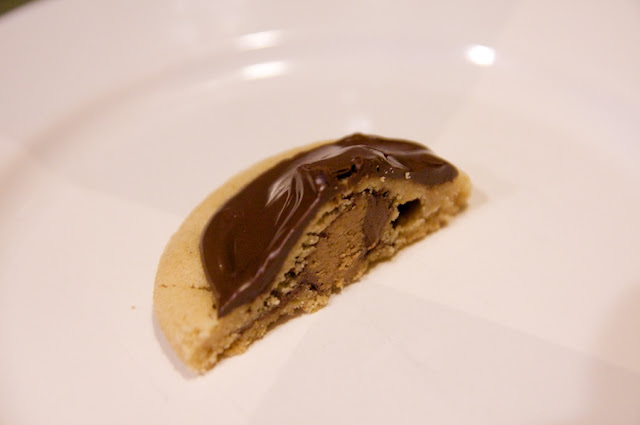 Divide dough into 36 balls, push a peanut butter cup into each ball and wrap the dough up around to cover the pb cup. Place on cookie sheet and allow room for cookie to spread while baking. Bake at 375 for 8-10 minutes. Melt glaze ingredients and drizzle or frost center top of each cookie. Enjoy! 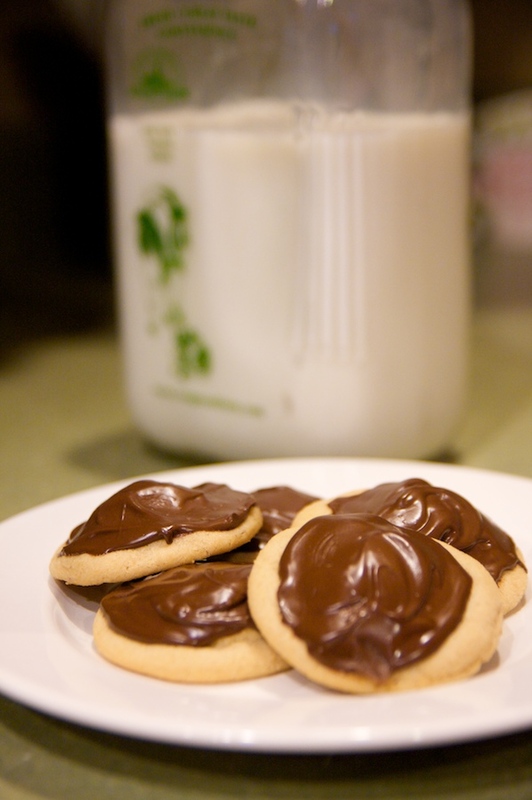 *thanks to my friend Sara for passing this recipe along, it became a family favorite instantly.